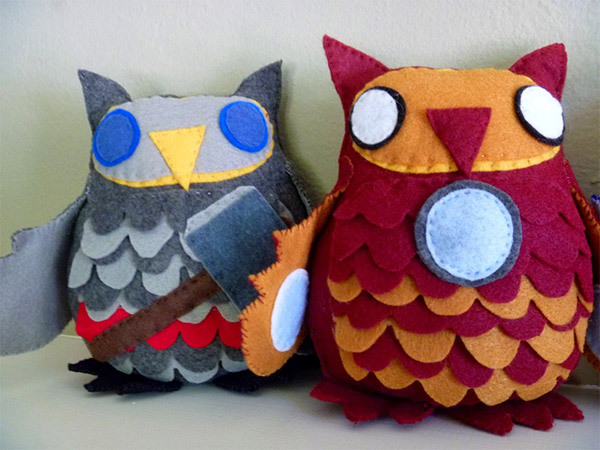 Avengers Owls: Give a Hoot and Assemble Already! We all have our favorite Avengers. Personally, I’ve always liked Iron Man and Thor the best, but after Mark Ruffalo’s take on the green guy this past summer, I’m beginning to like the Hulk again too. Well regardless of which Avenger is your favorite, we can all agree that owls are pretty awesome creatures. So what could be better than Avengers owls? 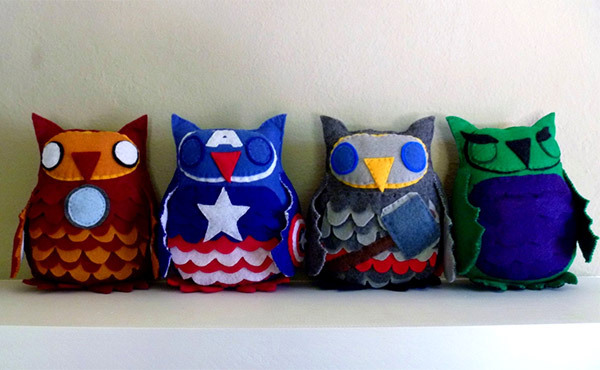 Artist Morgan Chambers makes cool stuffed owls based on pop culture figures, among them The Avengers. These 7-inch-tall plush superheroes are handmade using eco-felt, and ready to take on all villains who dare to come their way. Okay, so them may not have any actual superpowers, but they will kill them with cuteness – one of the most dastardly weapons known to villainkind. 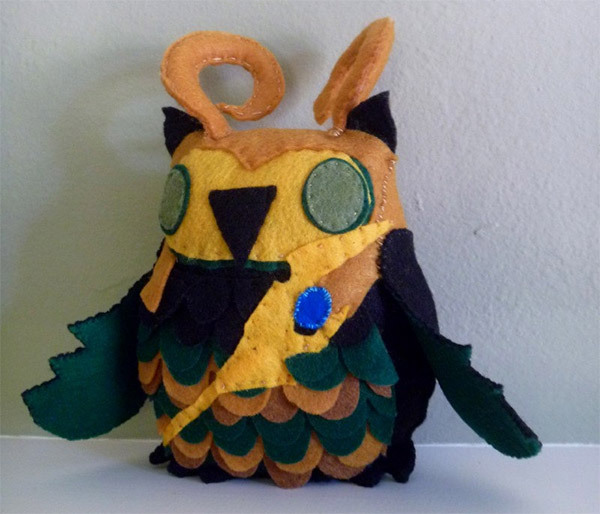 Oh, and if you’re feeing villainous, you can always go for the Loki owl. For $35(USD) you can get a single plush owl, or for $95, you can pick your favorite three , and Morgan will make them for you. Since they are handmade, you’ll have to wait about a week per plush for them to be made, but the end result will be worth it. Just tell those supervillains they have to wait.